Passion 2 Win has years of industry experience. We are distributor and whole sale supplier of top-notch sports uniforms including Basketball Uniforms, Soccer Uniforms, Football Uniforms, Warm ups, Track Suits, Martial Arts and other sports wear at prices that can't be beat! By eliminating the middleman and adopting the advanced Internet technology, LetsPlaySports has adopted the most economical and efficient approach to bring high quality sports uniforms to the customer. You will receive products directly from factory. Our major clients consist of Schools, Leagues, Clubs, screen printing and embroidery companies, Small and large businesses. 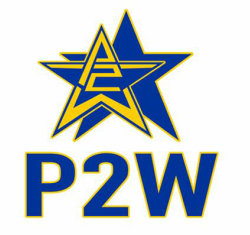 The success of P2W is its introduction of unique designs of Basketball uniforms and warm up suits in the market at very low prices. This provided an opportunity to the company to work directly with the end users to explore their demands. In turn, this helped the company to improve its products. Today, the company stands at a position that it can compete in any market in terms of quality and price. Through our commitment, experience, and expertise P2W has established a business relationship with our customers that will last a lifetime!